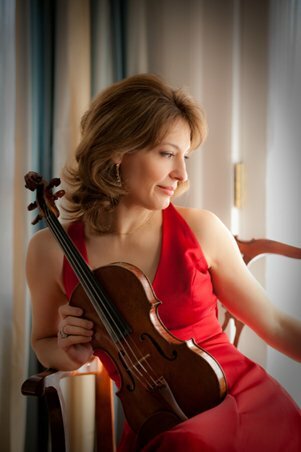 In an introduction to their recital at the renovated Gasson Hall at Boston College on Sunday, violinist Irina Muresanu mentioned that she and her collaborator, pianist Ju-Ying (“J.Y.”) Song, became acquainted through their work with the Pro Musicis Foundation, which brought classical music to under-served communities. While we’re pretty sure that Boston College doesn’t fit that characterization, the exceptional quality of Muresanu’s and Song’s program left us thinking that no venue to which these performers brought their talents could thereafter claim under-served status. They began with Beethoven’s familiar Sonata No. 5 in F major, op. 24, universally known as the Spring Sonata, to which they brought a lovingly fluid opening and delightfully springy second subject in the first movement, a gorgeous cantabile to the second, lighthearted pep and rhythmic ebullience in the evanescent scherzo, and a satisfyingly dappled array of moods and colors in the finale. 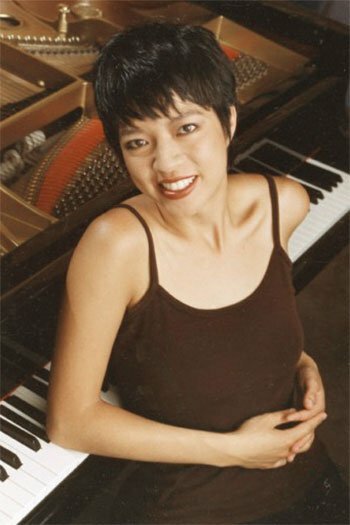 Muresanu gratified with her deference to the piano where its part ought to be prominent, and Song likewise with her compatible silky tone, phrasing and dynamics. We also liked Muresanu’s understated but effective spiccato in the finale. The closing item was Ravel’s Sonata No. 2 in A major, written between 1923 and 1927, while he and le tout Paris was in thrall to American jazz and blues, abetted by W. C. Handy’s several tours. Full of classic Ravelian elegance, wit and charm, with a stab at a blues middle movement (heavily reliant on pitch bending for the violin and a piano part more reminiscent of Debussy’s Golliwog than actual blues). Harmonically there is a fair amount of bitonal bite, quite à la mode in its day and therefore lending a period charm to it now, and making it the most harmonically advanced work on the program. It is, moreover, a performer’s showcase, and Muresanu and Song made the most of it, especially in the whirlwind finale with some jazzy episodes. The two players appeared perfectly matched in temperament and technique, and the entire enterprise was, as we said, immensely satisfying.